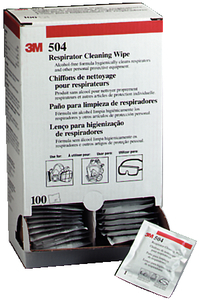 individually wrapped wipes designed for sue with half mask and full facepiece respirators. Dispenser box can be wall mounted. Alcohol free. 8" x 10".